It’s astonishing how quickly Snapchat comes up with new features. 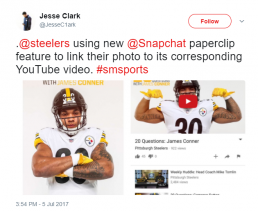 They are back at it again, this time with one of the best new features EVER – Snapchat Paperclip. The name of the feature might be a bit dorky, but it’s the most powerful ever! 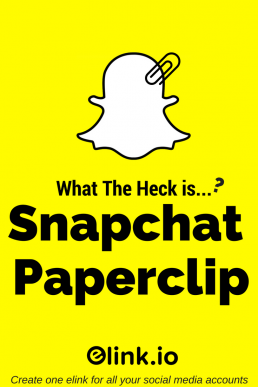 So what the heck is all the fuss and excitement over Snapchat Paperclip? Paperclip allows snapchatters to add external links to your snaps! Now you can have your followers find your music, your videos, products you’re recommending, e-commerce sites…essentially anything across the web. Previously the feature was only available for ad campaigns and Discover content, but now anyone can add a link to their links. Paperclip is a dream come true for many people and influencers, brands, and marketers are the ones who are really excited! Bottomline Snapchat Paperclip is awesome. Having a single link in your snaps opens up so many opportunities for all of us. But what if you could have multiple links in your snaps instead of just one? No, we haven’t lost it! There’s a cool new tool that allows you to do just that. Why Just Add One Link? elink.io is a tool that allows you to have multiple links in your snaps. It acts as a landing page for all your external links. Just copy and paste the URL of your elink in your snap and you’re good to go! Select a template for your landing page. elink.io has over 19 modern and responsive templates to choose from. Add the links you want and elink will automatically generate a picture and a short description of the link, making it visually appealing! Give your elink a title and a description if you like. You can even personalize your elink by adding your brand logo and tagline. Click on publish and add it to your paperclip! Now that you know how it works, what are you waiting for? Go ahead and make use of what can be the “best feature” of Snapchat yet, with a little help from elink.io! PRO TIP: You can also use the same elink for your other Social media accounts. See how influencers are already making use of it on Instagram! We need to be more active on Snapchat. Thank you for this information and easy to follow instructions. Maybe this will motivate to get after it! Woah that is so cool! Maybe I should download snapchat again as the paperclip feature is really quite on point, especially if you can embed social media links! Maybe I will have to give Snapchat another try! I freaking love this feature. Instagram only allows people with 10k followers or over to add the link, but I am at least glad Snapchat decide to let everyone use linking. That’s a great feature all though i don’s use Snapchat so much lately. I might it give it a try, thanks for sharing. I’m surprised this hasn’t been done already! Snapchat seem to be really upping their game recently. I noticed more and more people that I follow on Snapchat were linking to blog posts or YouTube videos but I thought it was just being opened up to new influencers. I’m bookmarking this post so that I can refer to it the next time I snap something that I can connect to my blog or something. Perhaps I’ll use Snapchat more now! Imagine the possibilities! I think it’s awesome that you can now link to different sites. This is going to make marketing and branding in Snapchat so much easier for people! Due to my kind of work, I haven’t into this app. But my cousins just love it so much. They said it’s fun having Snapchat on their phones. Really interesting! I don’t use Snapchat, but this looks like a great feature for people to be able to effectively promote their work. Thanks for sharing! Yes!!! This is a great option for me as a blogger when I want to share content with friends on snapchat! That is actually really neat! I never use snapchat but maybe I Should! I haven’t starting using Snapchat but I think I should start. LOVE your blog. I love the idea of adding links even though I lol at the name Paperclip. I don’t really use Snapchat but all of my family does. Snapchat is literally the application that makes me feel old. I am only 27. But honestly, I have no idea how to use it! This is the first time I’m even hearing about this, and I am so excited!! Thank you so much! Snapchat is a great way to communicate with your followers! With the new paperclip feature, you can bring them back to your blog or YouTube channel or a particular video using elink.io. WHAT?! I didn’t even know about this!! I am definitely updating my snapchat and using more often now! I guess snapchat is stepping it up now! The new feature of Snapchat is amazing! I have stopped using since last few months but now I’ll check it out! This is such an amazing new feature! I am loving it, so useful for us bloggers, any creative or person who wants to share links. Very helpful post. I am not a Snapchat user, but it is still great to have learned something about the app. I will let my cousin know about this. She and her daughter are active users of it. Never knew about this! Definitely going to use it! I don’t use Snapchat but if you say it will be a big help for us bloggers, then I will have to check that out. 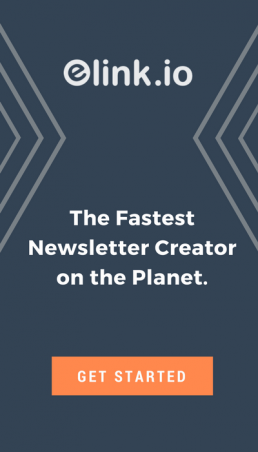 I know there are people who say that Snapchat is an effective way to drive traffic to your blog. I think they must be using Snapchat Paperclip. thanks for the information! I absolutely love Snapchat and never knew about this omg! I don’t really use snapchat anymore.. found it really annoying and once facebook brought out the filter feature on their camera I kinda forgot about it. But that’s a really awesome feature to add! Might give it another try knowing this. Finally, this is a feature for business which is a must use. I was never a big fan of snapchat but know people who spend their entire day on snapchat.